Well, it isn’t often that a new postcard comes out of Disneyland these days…and when they do come out, you have to search for them! I was surfing eBay recently and have seen this series of cards appear for sale. The cards all come from Cars Land and I think there are four cards in the set…but since I have not personally been in the park since last February…I can’t verify this for sure. Which brings to another point. When the park does release a new card, it seems that it is being treated just like any other exclusive item in the park. That is…you need to be a paying customer to get the card! It used to be, ages back, that you could find a lot of cards at Downtown Disney. But that has changed. The last time I remember seeing anything like a spinner rack there was a looooong time ago! Anyway…if you do find your self in the park…make sure to search these cards out. And send me a scan if you do. I won’t be going into the park for a couple more months! 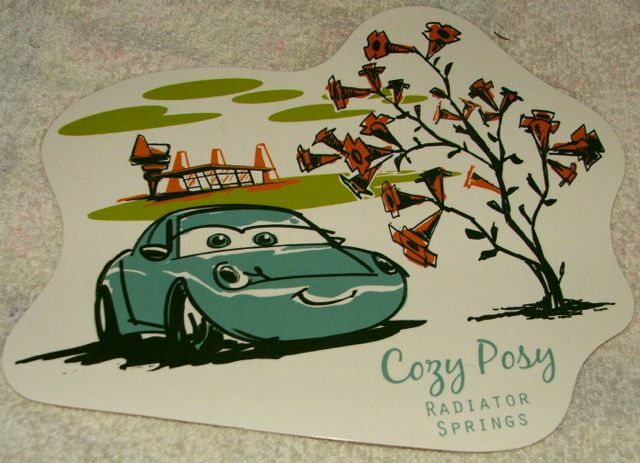 This entry was posted in Disneyland, Disneyland Postcards and tagged Radiator Springs. Bookmark the permalink.